CPG brands are currently dealing with a significant transition away from a world in which packages primarily sit on store shelves waiting to entice potential buyers to one in which packages sit on warehouse shelves waiting to be picked, packed and shipped to customers. This new reality in retail requires a different type of packaging design to meet e-commerce needs – and it involves more than simply adding the item to a corrugated cardboard box for shipping. Though tackling the supply chain differences is paramount, brands must also account for the fact that customers cannot touch, look at or smell products at the time of purchase. According to Shopify, the e-commerce market share is expected to increase to 11.9% in 2018. With every passing day, e-commerce is taking up more of the retail market. If CPG brands wish to flourish, they will need to master the e-commerce channel and its differences, one of the most important of which is packaging. Imagine having a candy craving and heading to the closest mass retailer to purchase several newly launched items. When you get there, you are astonished that the candy aisle looks like it’s miles long. If the customer is shopping for CPG products online, this is the current reality. A quick search for “candy” on Amazon yields over 40,000 results. Therefore, when it comes to e-commerce, it’s even more important to design packaging that stands out from competitors. The first thing a potential customer is going to see when searching for products online is a photo or digital render of the front of the packaging on a white background. 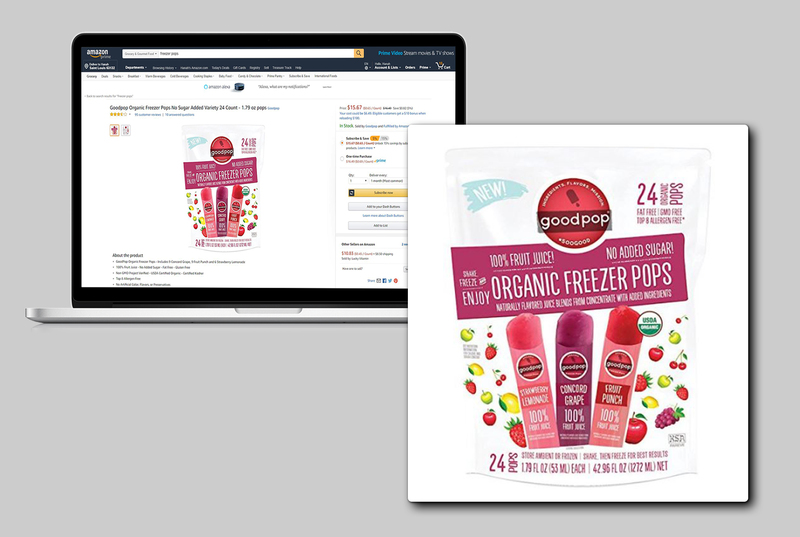 Though the white background might seem sterile, it actually provides a benefit for CPG brands that leverage creative and colorful packaging design, as this packaging stands out more online compared to on crowded retail shelves. 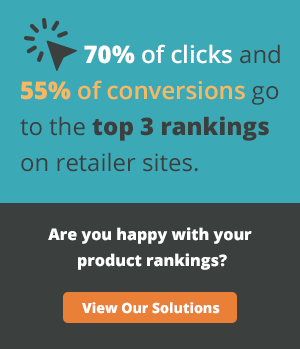 The main goal is to get that potential customer to visit the product page. To achieve that, a CPG brand could also highlight important functional benefits on the front of the package, or, if it’s in a consumable category, show the actual product. Supplement with product page content. One of the greatest things about e-commerce is that shoppers aren’t limited to only the information on a product’s package. The additional real estate on product pages is a breath of fresh air for CPG marketers that have struggled for decades with fitting enough information on the packaging without sacrificing the overall design aesthetics. 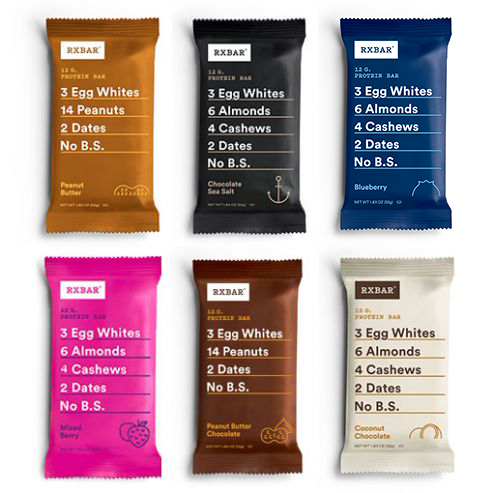 Because of this change in available marketing real estate, digitally-native brands like RXbars have started to create a clean label trend. 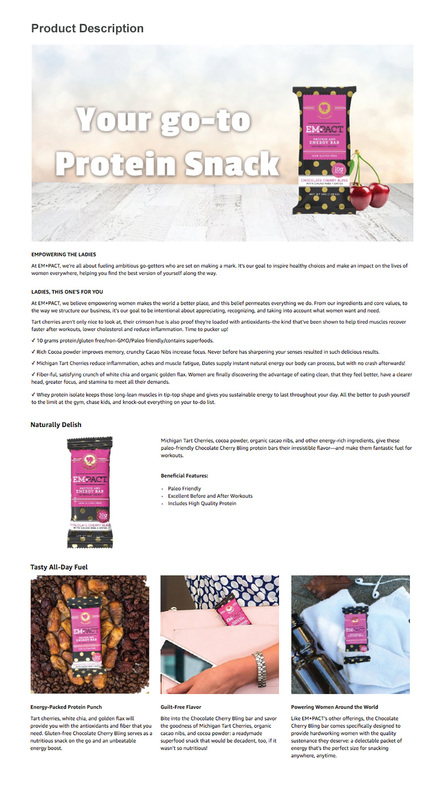 A product page should use a mixture of short bullet points, longer product descriptions, and graphically enhanced content to expand upon features and benefits and tell your brand’s story. This approach to varied product content not only helps consumers get the information they need to make a purchasing decision, but it is also crucial in helping products achieve a top placement in search results. Don’t forget that e-commerce retailers and marketplaces are essentially search engines that need proper SEO strategies. Don’t neglect the customer experience. Getting a customer to purchase a CPG product online and having it arrive undamaged at their home is only part of the battle. Once it arrives, shoppers need a pleasant unboxing experience to consider further re-purchases. Additionally, this experience could also lead to organic social media impressions, as many Generation Z and Millennial buyers naturally share their unboxing experiences online. With the digital commerce shift, it’s important to consider variables such as unwrapping difficulty or oversized packaging designed to stand out on a traditional retail shelf. It’s also important to think about using recyclable or compostable materials. Consumer demand for environmentally-friendly packaging is expanding rapidly. According to the 2017 Sustainable Packaging Study, 92% of respondents believe sustainability in packaging is important. Finally, CPG brands can look to design packaging to be reusable. This gives the brand an opportunity to have their products showcased in a customer’s home after the product itself has been consumed.